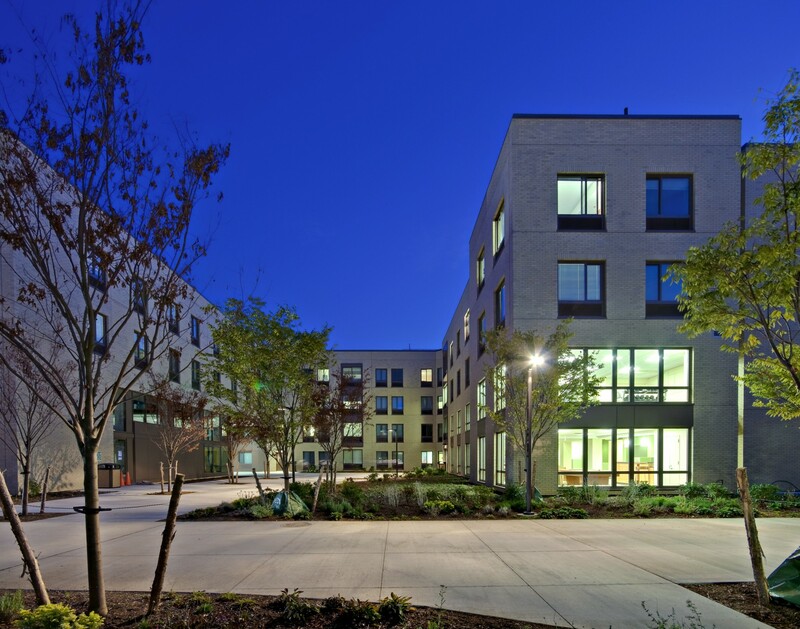 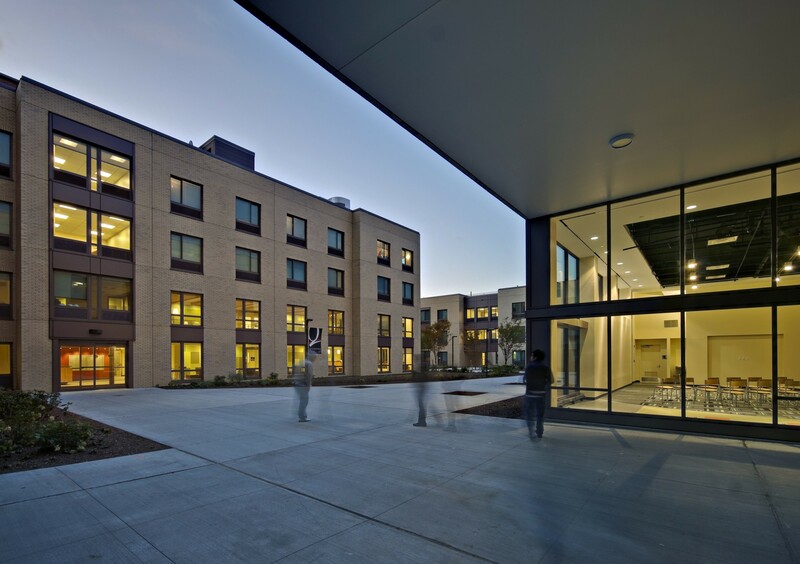 When the City University of New York, Queens Campus wanted to create student housing on their campus for the first time, they boldly chose to put is at the west terminus of an expansive planned new quad. 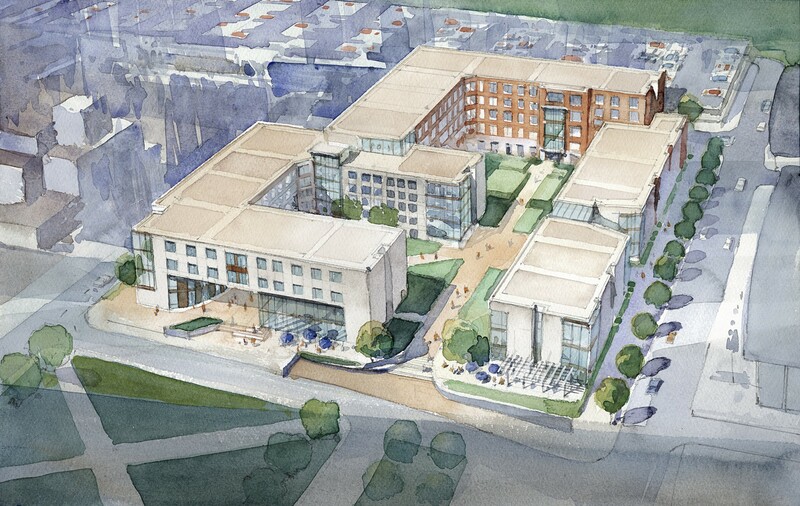 The university wanted a facility that could house 450 students in smaller, flexible community sizes. 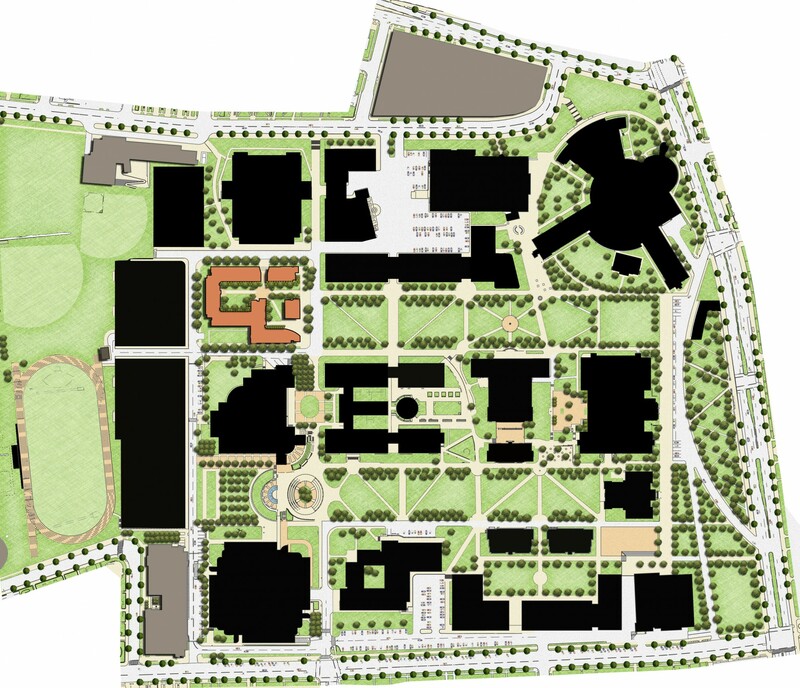 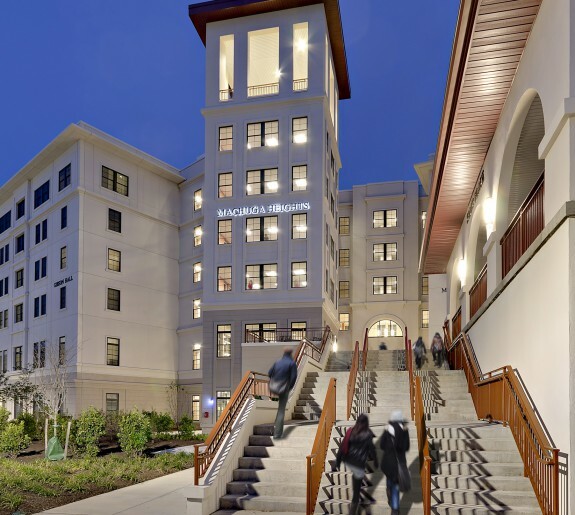 To reinforce the academic village concept, the design team broke the project into three distinct communities or "buildings." 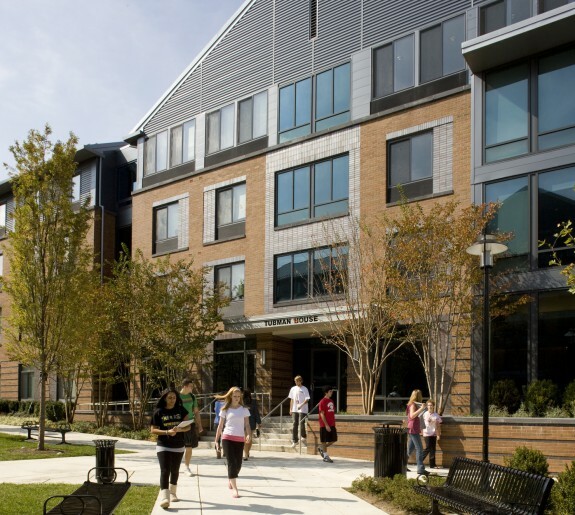 The three buildings then interlock and form three distinct courtyards which open to the campus and create a welcoming environment. 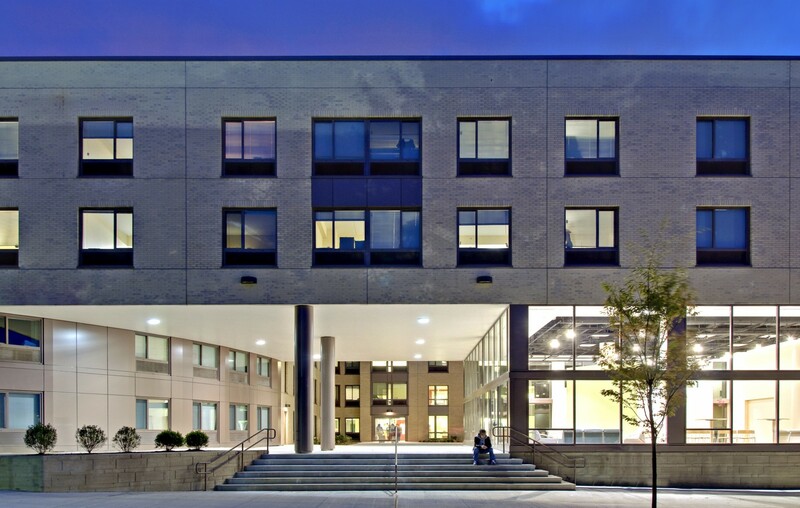 Connecting the three buildings achieves the added benefit of consolidating functions like security, administration, classrooms, services and vertical circulation. 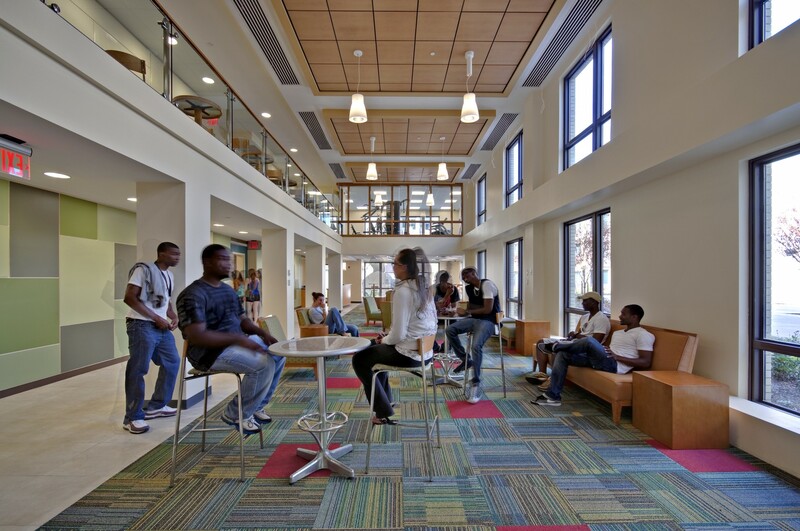 At the same time, students from different communities can come together in casual ways at all times with one secured entry point. 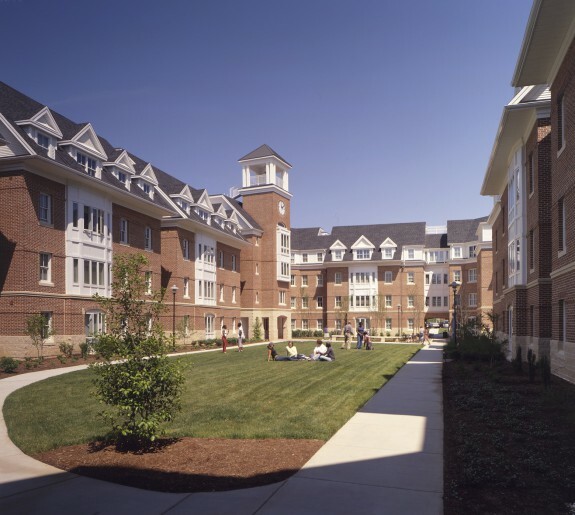 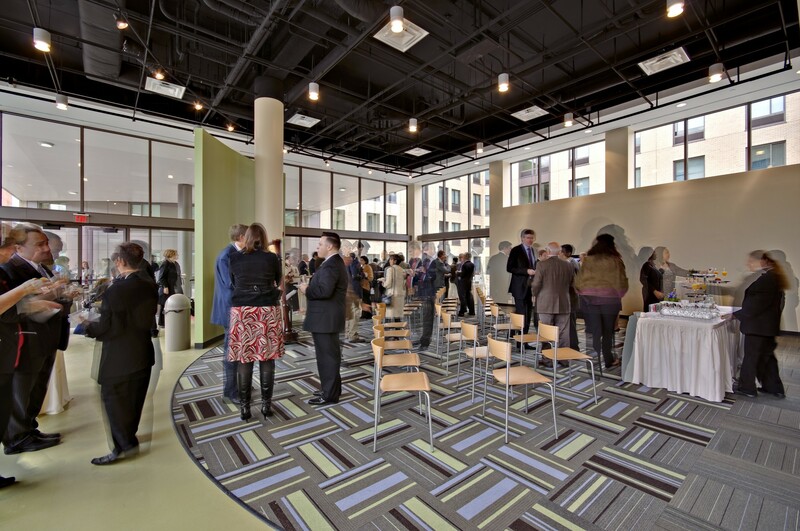 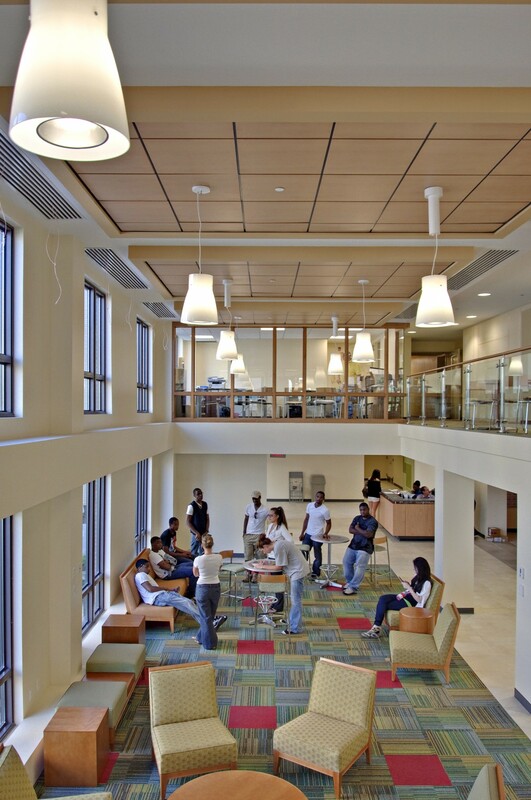 The building can, therefore, define communities both horizontally, through connected floors, and vertically, by building.